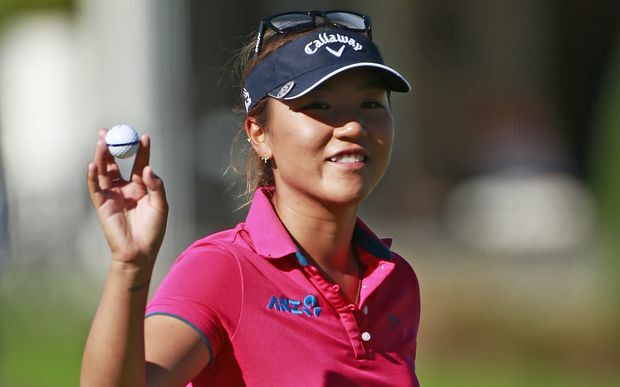 A big congratulations goes out to Ha Na Jang for winning the ISPS Handa Women's Australian Open. Her eagle on the 17th hole, and bidie on the 18th, enabled her to blow past the rest of the field and go on to win by 3 strokes. 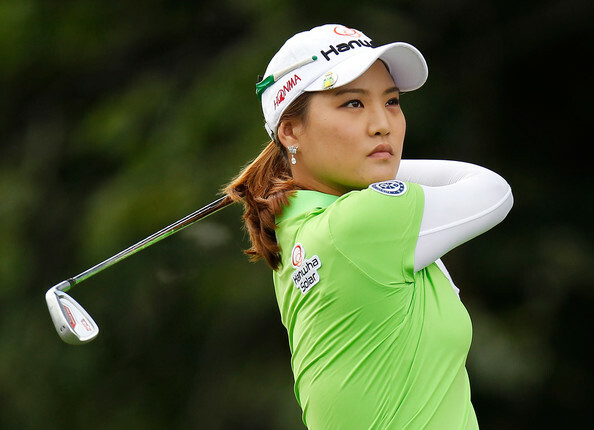 This week the LPGA moves to Thailand for the playing of the Honda LPGA Thailand. Last season brought us close finishes in almost every tournament.....but this was not one of them. Lexi Thompson's twenty under par total of 268 blew away the field, and was 6 strokes better than runner-up In Gee Chun and 7 strokes better than 3rd place finishers Jessica Korda and Amy Yang. It was Lexi's 7th win on the LPGA tour. 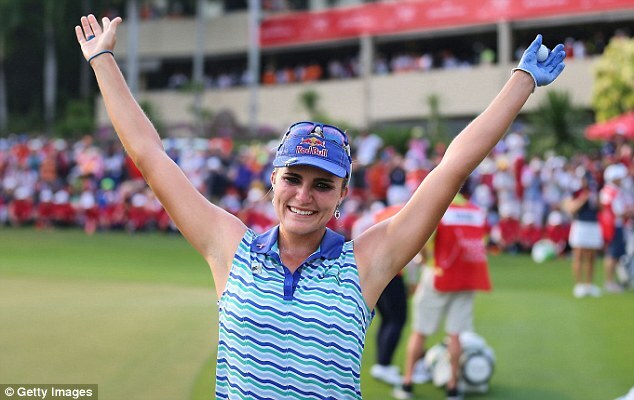 Lexi Thompson raises her arms in victory at last year's Honda LPGA Thailand event. This will tournament #3 of 34 on the this year's LPGA schedule. My strength of field rating is a very solid 77.5 % ( down from 78.5 last year). 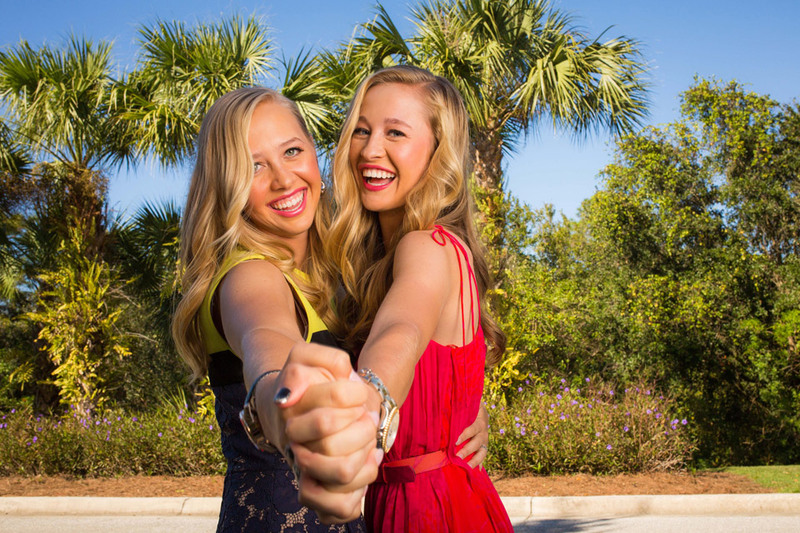 Forty-nine of the top 50 players from the LPGA Priority List will be teeing it up, with only I.K. Kim missing from that list. Thirty-six of the top 50 players will be teeing it up from the Rolex World Rankings. The reason my field rating isn't even higher than it is, is because the limited field lacks depth. Players such as Sung Hyun Park, Paula Creamer, Michelle Wie, Nelly Korda, and Ilhee Lee (to name a few), will not be teeing it up because of the small field. 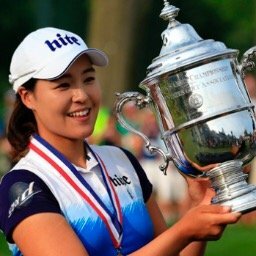 In fact, Inbee Park, Sandra Gal, Yani Tseng, and Ai Miyazato are only playing because they are sponsor invitees, and any prize money they will earn will not count as official earnings. I believe the time difference between East Coast and Thailand is 12 hours. Sarah Jane Smith's third place finish in Australia might have come as a big surprise to many people. Fact is, Sarah has been flying under the radar and playing well for quite some time now. She has made 23 consecutive cuts. The only major move this week was made by Nanna Madsen who leaps up from #110 to #68. She finished 2nd to Ha Na Jang in Australia. Brittany Lincicome and Ha Na Jang are tied for the lead with 500 points. Lexi Thompason is third with 300. Pornanong Phatlum is the only player to finish in the top ten in both tournaments this year. Yani Tseng, Kris Tamulis, and highly touted rookie Madelene Sagstrom, have all missed the cut in both LPGA events this season. I was A rookie in 2009. I have won 5 times including a major championship. In my 9 years on tour, I have only missed 9 cuts. I started this season having played in 189 tournaments and have made 180 cuts. That is a rate of 95.24%. No current member on the LPGA tour who has teed it up as many times as me, has a better percentage. For the answer of this week's trivia question please press here.